Plan Cypresswood - 2 Bedrooms, 2 Baths, 1,222 square feet of living space with attached two car garage. Plan Beechwood - A one level, 2 Bedrooms, 2 Baths, 1,307 square feet of living space with attached two car garage. Plan Redwood - 2 Bedrooms, 2.5 Baths, 1,650 square feet of living space with attached two car garage. Plan Drifwood - 3 bedrooms, 2.5 Baths, 1,820 square feet of living space with attached two car garage. Amenities are abundant including tennis courts, green parks, association pools and spas. Residences can enjoy the use of both north and south Lagoons and club houses. They are great fun for all season for the families. The Master Homeowner's Association is Woodbridge Village Master Association managed by Woodbridge Village Master Association located on 31 Creek Road Irvine California. 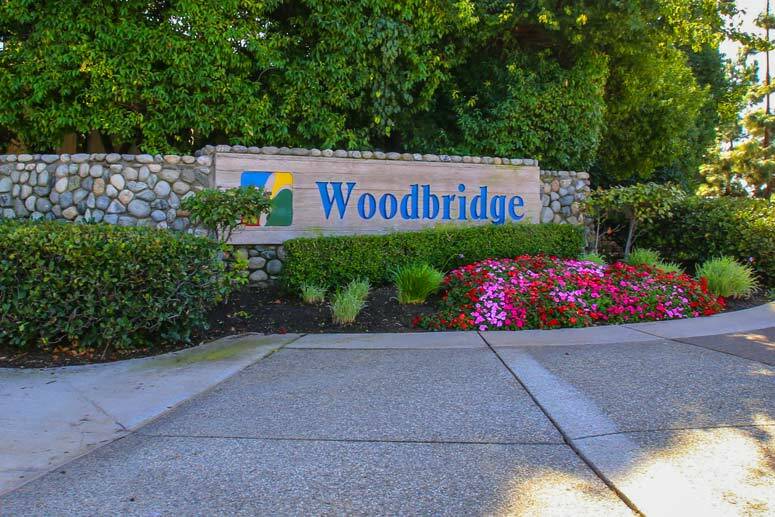 Woodbridge Park homeowners association phone number is 949-786-1800. Schools are the award wining Irvine Unified School District. Schools are Stonecreek Elementary School, Lake Side, Middle School and Woodbridge High School.